With Readly you can read Queen Elizabeth II and thousands of other magazines on your tablet and smartphone. Get access to all with just one subscription. New releases and back issues – all included. Queen Elizabeth II has reigned for longer than any other British monarch. Now, as she prepares to celebrate her 90th birthday on 21 April 2016, we take a look back at Her Majesty’s eventful reign. This book covers key moments in the Queen’s life, such as World War II, changes in public perceptions, and meeting the newest members of her family, Prince George and Princess Charlotte. 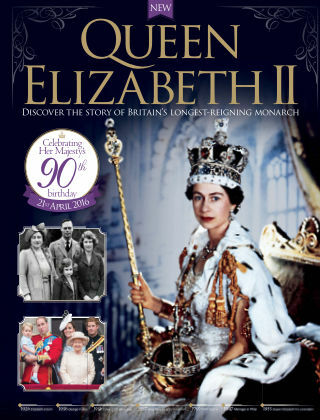 Featuring: Celebrating Queen Elizabeth II - Discover the life of this extraordinary monarch with incredible images. The Birth of a Princess - Learn about the Queen’s early life, from childhood to marriage. Royal Duties - Looking back on trips and events that formed the monarch’s memorable moments. An Expanding Family - Get to know the newest members of the royal family.